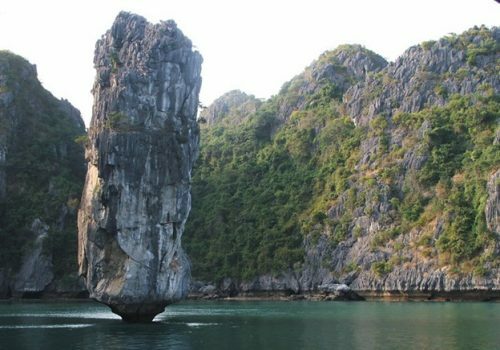 There are many easy ways for you to get to Halong Bay, which is only 170 km away from Hanoi: go with a travel agency or by public bus, by motorbike as an independent traveler. While motorbike is the most common means of transportation in Vietnam, why don’t you try riding motorcycle for your trip to Halong Bay? 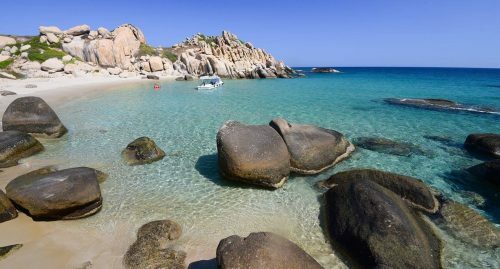 If you are an adventure lover and want to explore, it would be unforgettable experiences. Halong Bay, which is a destination that you should visit at least once in a lifetime, is all travelers’ dream. 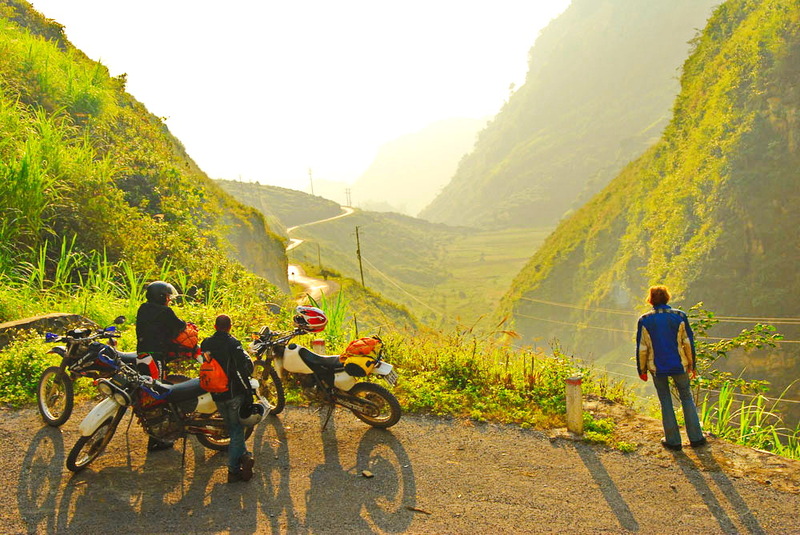 Although there are several ways to travel from Hanoi, motorbike may be the best option for those wanting to experience this amazing road. Decide how to get there. Have an international driver permit from your National Automobile Association as possible. Get a compatible Smartphone with GPS and Google Maps. Have a local 3G SIM card. Offering unlimited mobile internet for one month on prepaid (~VND 100.000) (~$4.5), Vinaphone is a high recommendation. You can either rent a good motorbike or buy a second one. It is very easy to get one in Hanoi Old Quarter. Depending on the seller, the condition and age of the bike, the prices are various. 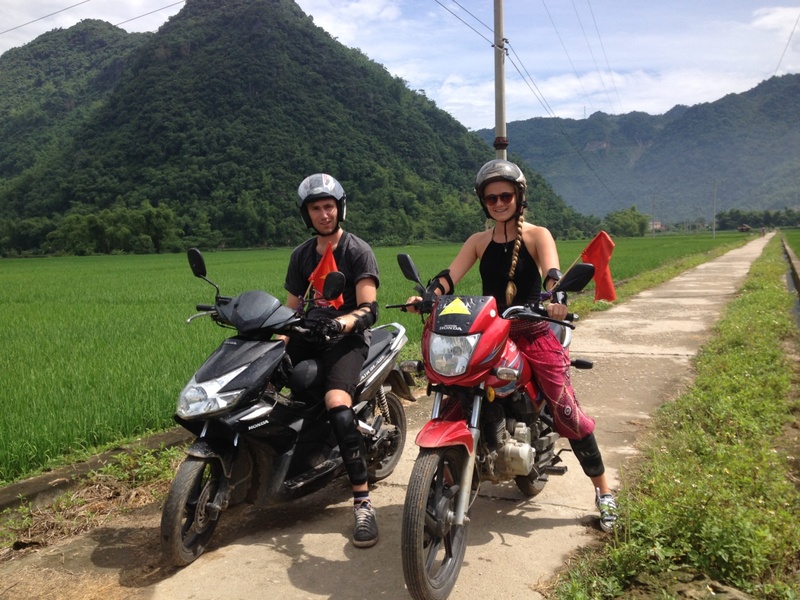 The most common bikes on the roads of Vietnam are Honda Dream, Suzuki, Honda Cub and Minsk. In addition to things of bike, traffic rules, these are directions that you should not miss. 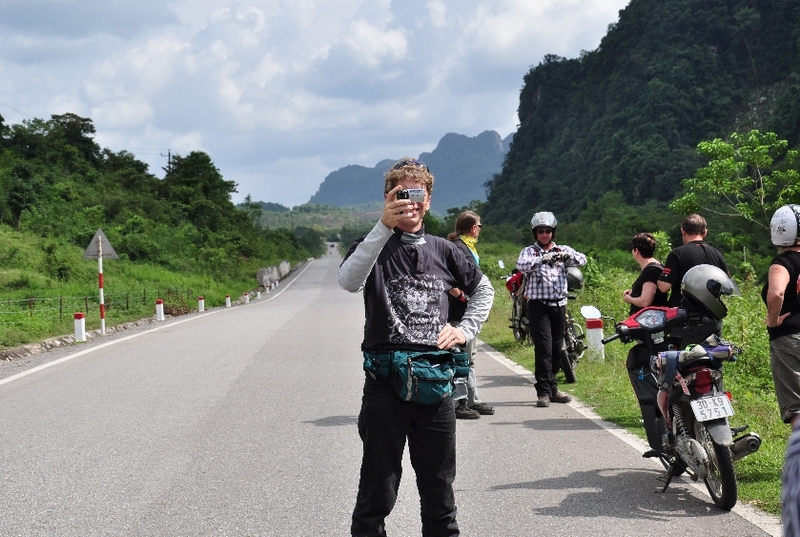 The shortest route for you to go should be Hanoi – Bac Ninh – Halong Bay. This 155 km journey on quite straightforward road takes only 3.5 hours. Leaving Hanoi, you will take the Route 5 and then follow these signs for Sai Dong junction (10 km). 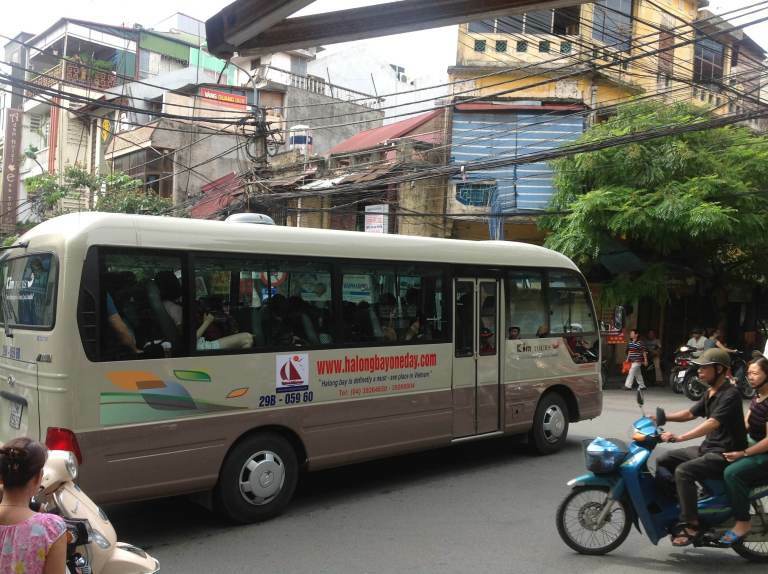 Once reaching Sai Dong, you will take the Route 1 to get access to Bac Ninh City (23 km). After that, you will continue by the Route 18 – Pha Lai Chi Linh – Dong Trieu – Uong Bi – Halong (122 km). Also, there is another itinerary – the favorable route to get from Hanoi to Halong Bay via Hai Duong: Hanoi – Hai Duong -Halong (170 km). 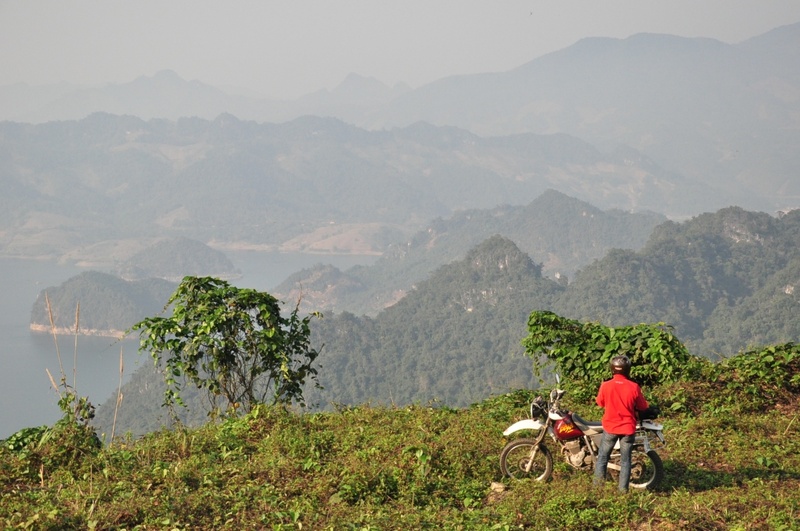 Once arriving at Nam Sach town, you have to turn along the Highway No.183 through the town of Red Star, Dong Trieu, Uong Bi and finally to Halong City. This journey takes 3 – 4 hours. If you embarked on this way with a small group of friends or a professional and experienced guide to support each other, especially in case of a break down or other issues, it would be much safer and more interesting. By road, which follows Highway 18 that passes by Tuan Chau Island, Bai Chay Road and Hon Gai Bridge is the most popular way to get to Halong Bay. Most cruise trips will arrange transfer from your hotel in Hanoi to the pier (either private car or cruise bus). It will take at least 4 hours for one way of an average trip without traffic. Traveling by local bus is another option. If you want to enjoy new bus with air condition and coming with a safe driver, traveling by bus is a cheap and comfortable way. From Hanoi capital city to Quang Ninh, the road quality is acceptable, not too bumpy. 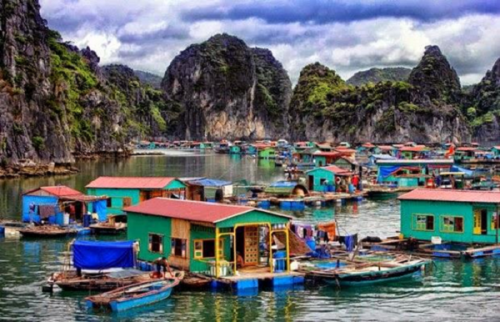 You may go directly from Hanoi to Halong Bay as long as you stay in the Old Quarter. In spite of the lower price, the bus is old and shocking, and you have risk of meeting indecorous staff. There will be many stops everywhere on the road to pick up more guests. More terribly, you will be stuffed if traveling in some occasions of holiday in Vietnam. Because of the price about $5-7USD per way, local bus is popular option among local people. You should know how much a bus trip costs. the cost of traveling by bus is included in the price if you book a tour with them directly.